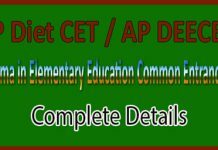 Recently AP SET notification 2018 has been released recently. Here is the process to apply for AP SET Online Application. Aspirants whose goals is to do as Assistant Professor or lecturer need to fill the AP SET Online Application. Many are searching how to apply for the AP SET Online Application, so to clear all your doubts about filling the application read the below article. 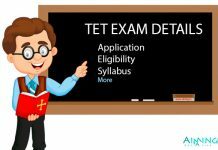 AP SET stands for Andhra Pradesh State Eligibility Test. 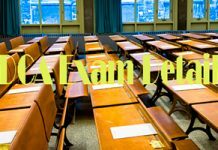 This exam is conducted by Government of Andhra Pradesh on behalf of Andhra University. Visit the official website and click the registration tab. Your mobile number and Email ID will be used for the sending the SMS communication. After completion of registration, Registered ID and password will be sent to your email ID. Login with your registered ID and password. After entering all these details, click on submit. Before uploading photo and signature, keep the scanned copies of photo and signature with you. Now upload your scanned photograph, signature and caste certificate in jpg/jpeg format. Size of the photo which you are uploading should be between 15kb to 50 kb. Size of signature which you are uploading should be between 5kb to 20kb. The online system will not allow the files if they are not in above-mentioned format. The application fee payment is through online mode only. No other payment is acceptable. You can make your payment by Credit Card/Debit Card/Internet Banking etc. Once the payment is done. Take a print out of your application for your further reference. Hope this article will be helpful to you to know the process of filling the AP SET Online application form.